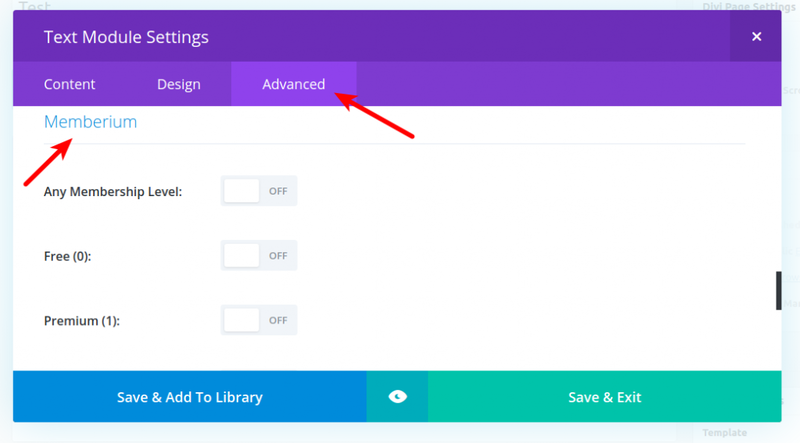 In this post, we’ll show you how to conditionally display or hide Divi Builder modules based on a member’s existing Infusionsoft tags, current membership level or based on the user’s current login status (logged in or logged out). First of all, let’s open the page in the back-end and see the Divi modules on the page. Once we have that opened, we need to click on the “hamburger button” next to the Divi module/element for which we want to change content protection for. Once there, we should see a pop-up window like on the image below. In there, we should navigate to “Advanced” tab and scroll down just a little bit, until we see “Memberium” headline. Under “Memberium” headline, we will see content protection options which we can select in order to protect that specific Divi module. Please note that you can have different content protection for each of your Divi modules, regardless of the page content protection and regardless of content protection of other Divi modules. How to display modules using “PHP Boolean Expression:” field? Once you are in the “Advanced” tab for specific Divi module, if you scroll down at the very bottom, you’ll notice “PHP Boolean Expression” field. In this field, you can specify WordPress or Memberium functions, such as is_user_logged_in(), memb_hasMembership(), memb_hasAnyTags(), etc. 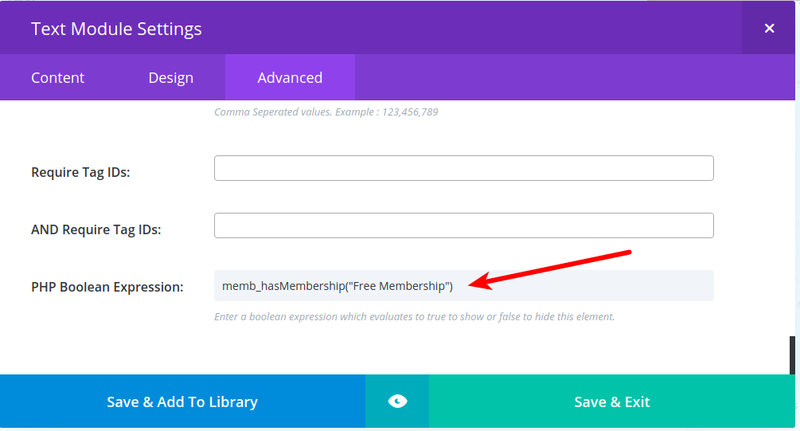 memb_hasMembership() allows you to show or hide a module by membership level. To use this, we’ll need to find the exact name of the membership level that you want to display the module for. 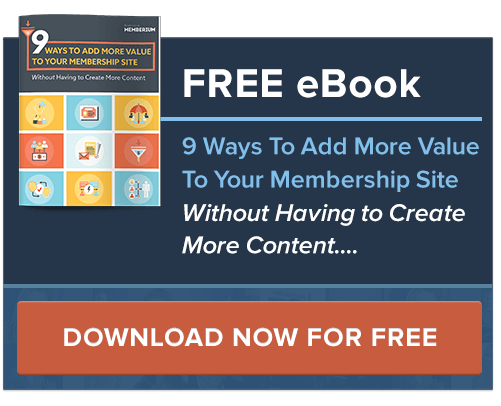 In the admin area of your WordPress site, navigate to ‘Memberium > Memberships’ and find the name of the membership level you’re looking for and copy it. Let’s say we want to display a module only to members with the ‘Free Membership’ membership level. The function memb_hasAnyTags allows you to display a module by Infusionsoft tag. To find the ID for a tag that’s not a membership level (to display a module based on membership level, you should only use memb_hasMembership and not memb_hasAnyTags), you can find the tag id in Infusionsoft by navigating to CRM > Settings > Tags and the Tag ID’s are listed in the ID column as pictured below. If you want to hide or show a module from anyone who has ANY of the following Infusionsoft tags you just add a comma between the tag id’s. 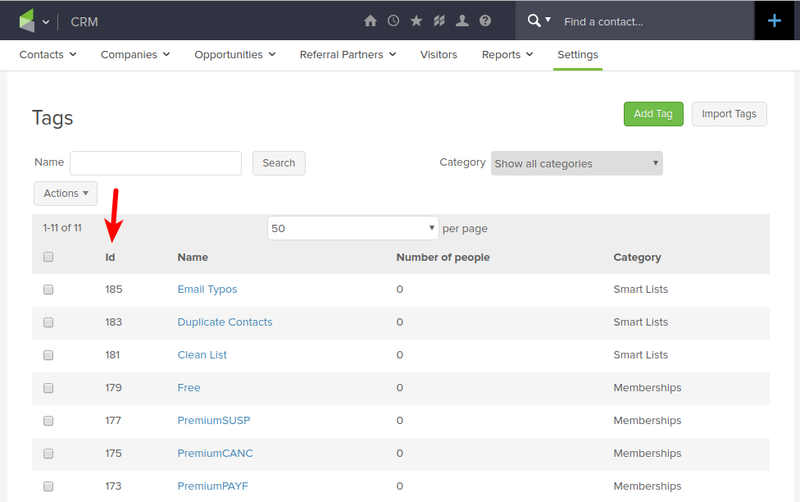 In certain situations, you’ll want to display or hide a module from members who have multiple Infusionsoft tags.